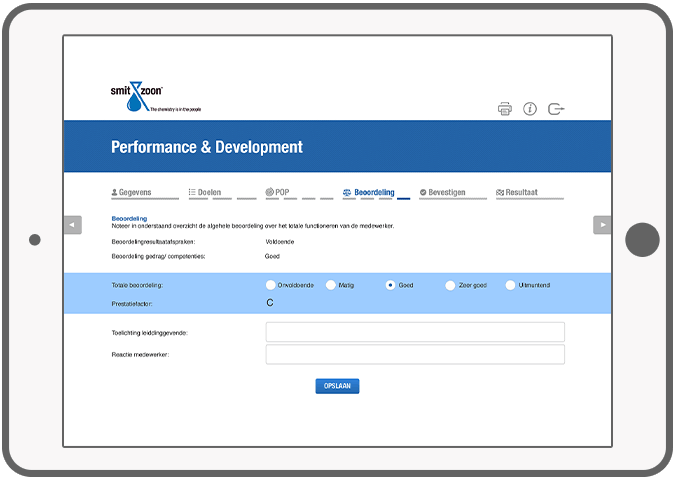 With the Smith & Zoon web app, the employees and managers of Smit & Zoon have access to the forms which are the basis of the inner Smit & Zoon conducted progress meetings. DTT has transformed the existing paper solution, into a unique web application. 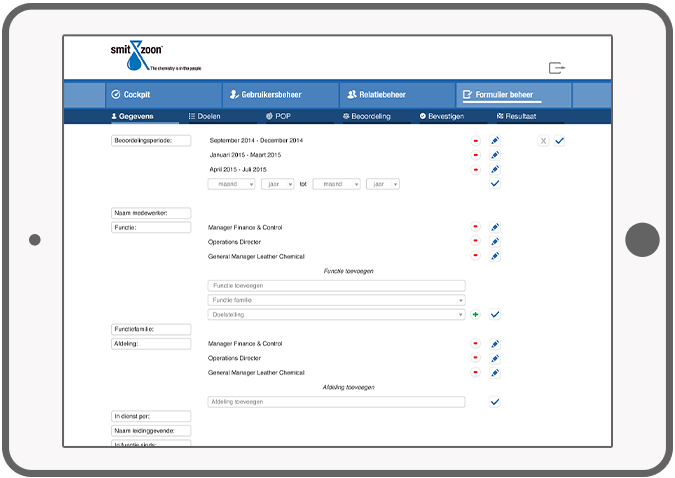 Employees and managers can login to create personal forms, edit, add targets and make arrangements with the manager. 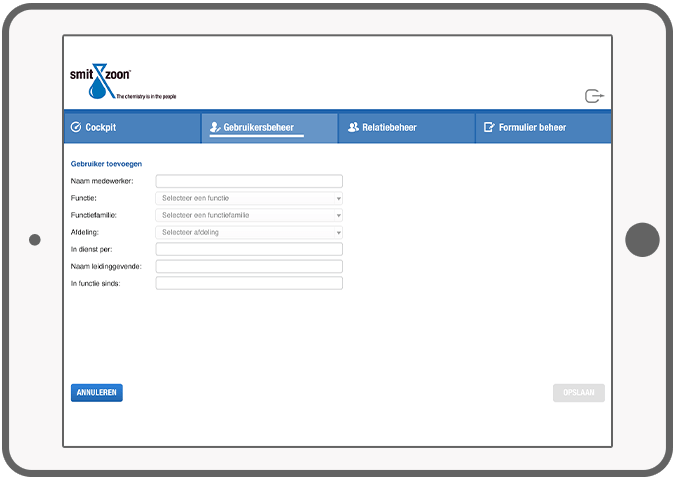 The Smit & Zoon web app has a CMS which is linked to a database. Employees can also follow the progress of the discussions of the various departments within the company. 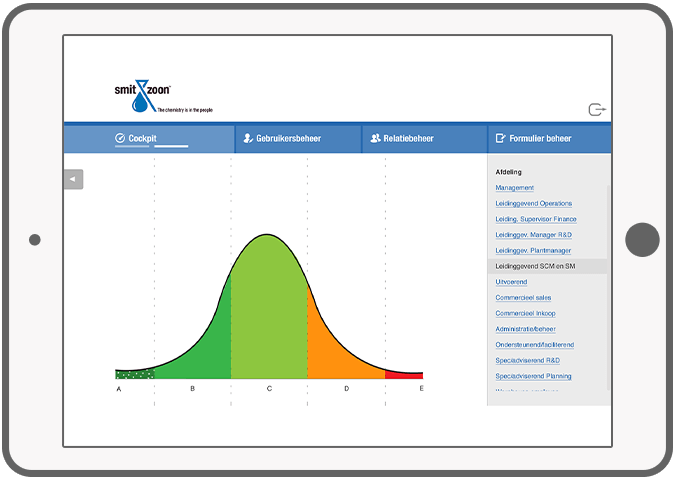 In this way the app ensures that all stakeholders understand the documentation relevant to them. 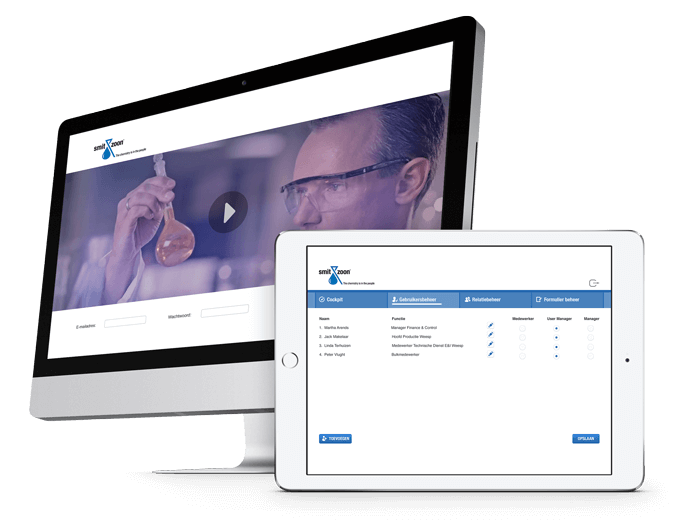 The solution is optimized for both tablet and desktop. Visit the Smith & Zoon website for more information. Employees have access to personal forms. Add and edit appointments with executives. 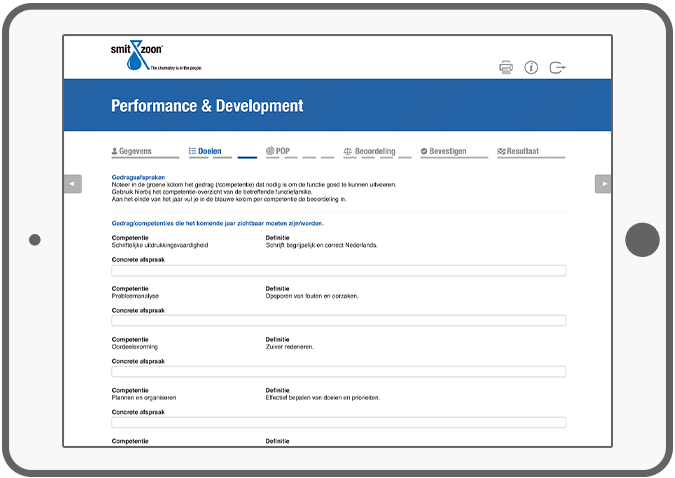 Assessment by means of a performance factor based on the assessment result agreements, behavior and competencies. A CMS to manage the progress of the various departments. Add staff, edit and assign rights. 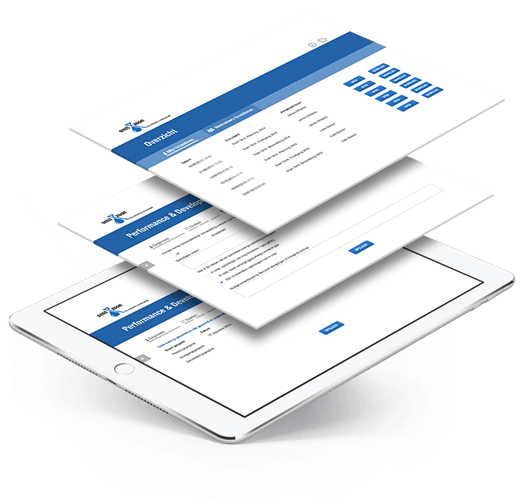 All titles, descriptions and help texts in the web form are completely manageable.